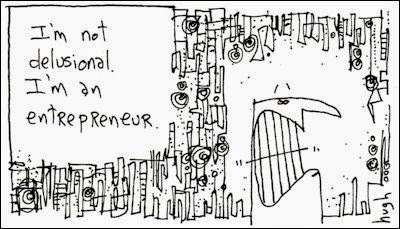 I can't believe I'm about to say this, but.....when I was young, I can't ever remember hearing the word 'entrepreneur', even though that's exactly what my parents were. They stepped into their first business over 25 years ago when I was 12. They always just said "we own our own business". It wasn't until the last few years that the concept of 'being an entrepreneur' came about in my life. And over the last few months I've really been thinking that being an entrepreneur is actually a lifestyle. It's a special group of people that step into this way of life. And if you haven't thought of it this way either, then let me be the first to say "welcome to your eLifestyle". This past Sunday I spent the day at Crystal Crescent Beach. It may be winter here in Nova Scotia, but the sky is clear and the sun is shining, and if a girl is wearing proper gear for winter weather, then anything is possible....even spending a winter's day by the ocean. I put in my earphones, pressed play, and turned the music low enough so I could still hear the seagulls and the waves crashing at the shore. Morcheeba was my soundtrack, and I broke into dance on the beach. All by myself. Except for one dog and his man, who was trying hard not to stare. But how could I blame him. Who wouldn't stare at a succulent, wild woman dancing on the beach in the dead of winter! And the whole time I was filled with gratitude as I thought about how much I love my lifestyle. If you haven't heard of the book, Succulent, Wild Woman by SARK, I highly advise you to get your hands on it. As well as anything else she's written. You'll be creatively inspired beyond belief. Her self-proclaimed purpose in the world is to be an uplifter, a transformer, and a laser beam of love. She is considered to be one of the most successful woman entrepreneurs in the world. She is a great example of how to become a 'conscious millionaire'. You can create a great business, but if you don't have a great life, eventually you're not going to have a good business either. How many of you are so focused on your business, that the rest of your life is being neglected? I bet one of the reasons you started your own business was so that you owned your own time. But have you been owning it? Or has the business owned your time? Do you keep thinking that you'll be able to do anything you want once you've reached "success" or "made enough money"? The time to live the life you truly desire is right now. You can choose to own your time right now. Most people go into business backwards. They create a business, then fit their life into it. But how about putting your life first. How about designing a juicy lifestyle for yourself, then fitting your business into that.Start thinking this way and see what happens. When you want something, the universe conspires in helping you to achieve it. So here's to a juicy life ahead.